This May 10–11th, the leading voices in Ethereum, blockchain, and tech return to New York City for Ethereal NY. When Ethereal Summit hits New York City on May 10th-11th, it will continue upon a strong tradition of providing a platform for those building the infrastructure and applications driving blockchain tech, in addition to championing the cultural and humanistic aspects of the decentralization movement. So far, the programing at Ethereal Summit events has featured leaders from ConsenSys, The Ethereum Foundation, Coinbase, Microsoft, and World Economic Forum, and thought leaders in fields ranging from financial markets to supply chain to gaming and spirituality. 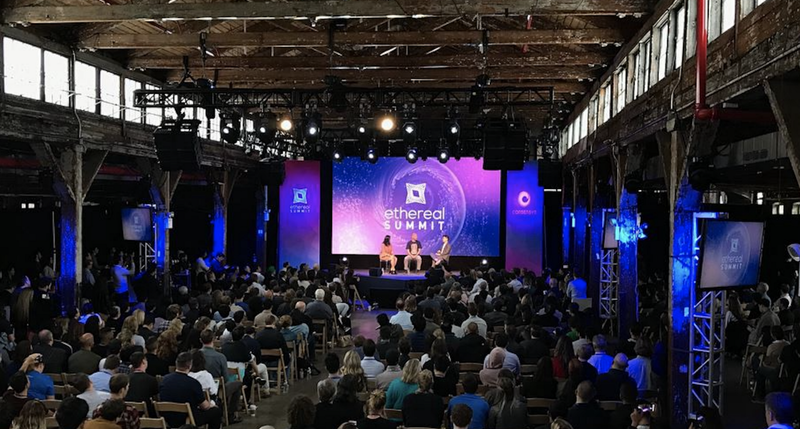 With all the art installations, announcements, demonstrations and networking that goes on at Ethereal Summit events, it’s impossible to keep up with everything that’s happening on stage. That’s one of the main reasons why Ethereal Summit is the most unique event in blockchain. Thankfully, all the proceedings can be found on the Ethereal YouTube page for later viewing. Disclaimer: The views expressed by the author above do not necessarily represent the views of Consensys AG. ConsenSys is a decentralized community with ConsenSys Media being a platform for members to freely express their diverse ideas and perspectives. To learn more about ConsenSys and Ethereum, please visit our website. Watch The 11 Most Powerful Ethereal Summit Talks Yet was originally published in ConsenSys Media on Medium, where people are continuing the conversation by highlighting and responding to this story.